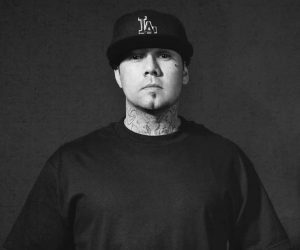 Scott Serrata, co-founder of Imperial Barber Products and co-owner of Razorbacks Barber Shop in Long Beach, CA, has always wanted to create his own thing, his own product, his own mark on the world. A fiercely independent personality, Scott demands attention to detail and hard work. He’s soft spoken, straight-faced, and strictly uncompromising on quality. His favorite quote is “You never get a second chance for a first impression,” and a great haircut is an important element of your first impression. From shaving heads and giving the classic mushroom haircut of the early 90’s, Scott has developed his craft of cutting and styling men’s hair into an art form. The high and tight, the medium and tight, the low and tight, he loves all the clean slicked back styles best. 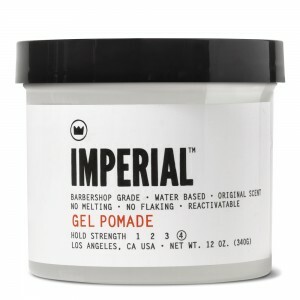 While each the Imperial products has a special spot in his heart, he is partial to the Gel Pomade and its water-based, indestructible, all-day hold even in the hot sun. He believes that giving his customer the best haircut possible requires truly listening to what they want. A great haircut is a collaboration between the barber and the man in the chair, and the barber must take into consideration the shape of the face, the lay of the hair, and the personal style of the individual. By paying attention to the smallest details, understanding how all these pieces work together, and using the best products, the master barber ensures each customer leaves the chair feeling confident he looks his best. For Scotty Serrata, inspiration is everywhere and hard work always pays off in the end. He’s always enjoyed cutting hair, even shaving a friend’s head at age 8 and accidentally removing an eyebrow when they got distracted with the dog. Not one to be discouraged by such mishaps, he was motivated by the successful, barber brother of a friend in high school. After working in a custom car shop in Inglewood just over ten years, Scott remembered how much he liked cutting hair and enrolled in barber college. Barber college lead him to Pedro Zermeno’s barbershop. When the pomades on the market didn’t offer them the hold they wanted, he and Pedro set out to make the best products barbers could make, testing everything on the job on real customers at the shop they own together, Razorbacks. Creating products he can be proud of has taken years of dedication and development, but that’s all in a day’s work for a man who cleans his shoes every morning with Simple Green and a toothbrush. When asked about his favorite band, Scott shrugs. He has an overwhelmingly eclectic playlist and loves all kinds of music. This appreciation for quality and variety is mirrored in his work ethic and his goals. From metal fabricating to creating barber-grade men’s grooming products, Serrata loves working with his hands and having a direct, hands-on impact on his business. He believes you can tell a lot about people from what kind of shoes they wear and how they take care of them, and if he follows one mantra, it is “be true to yourself.” And so he has.